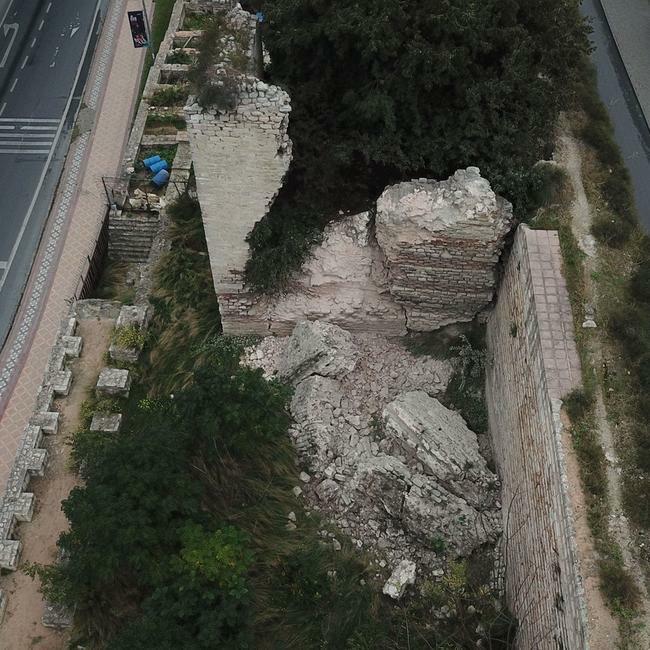 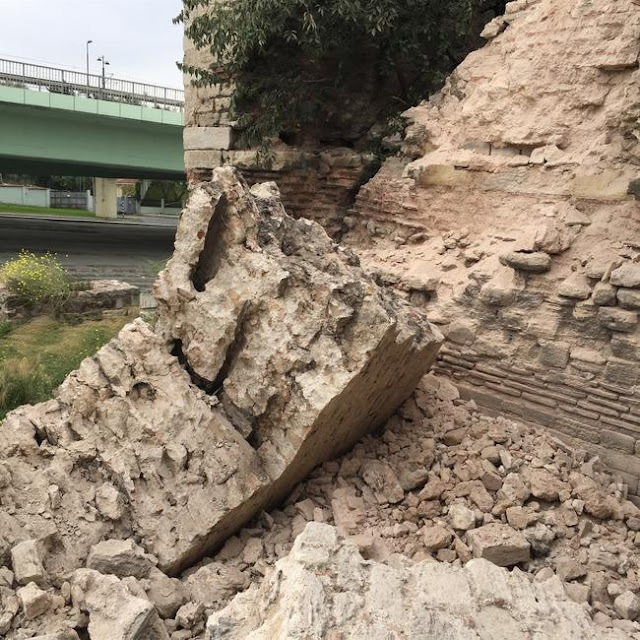 A Byzantine tower in the centre of modern Istanbul [Constantinople] has collapsed while deep cracks have also appeared in the adjacent sections of the ancient walls. Indeed, many sections of the Byzantine walls have likewise been left to crumble or have changed form due to modern 'restoration' projects. 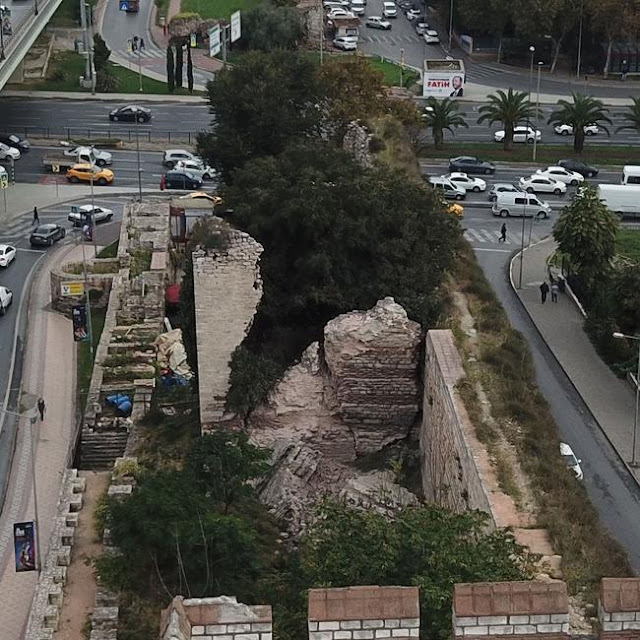 The old city is surrounded by a total of 22 kilometre long walls in three main sections, namely, the 'Land Walls' on the west, the 'Golden Horn Walls' on the north and the 'Marmara Walls' in the south and east. 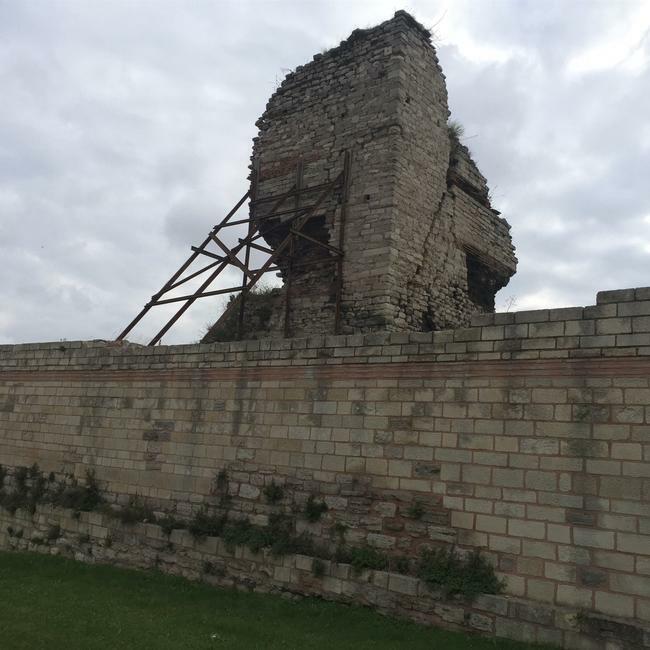 There are more than 90 towers in each of these three sections and the tower that collapsed had stood in the western section. Initially built by Constantine the Great, the walls were later expanded by the emperor Theodosius who built the famous 'Double Line' in the 5th century. 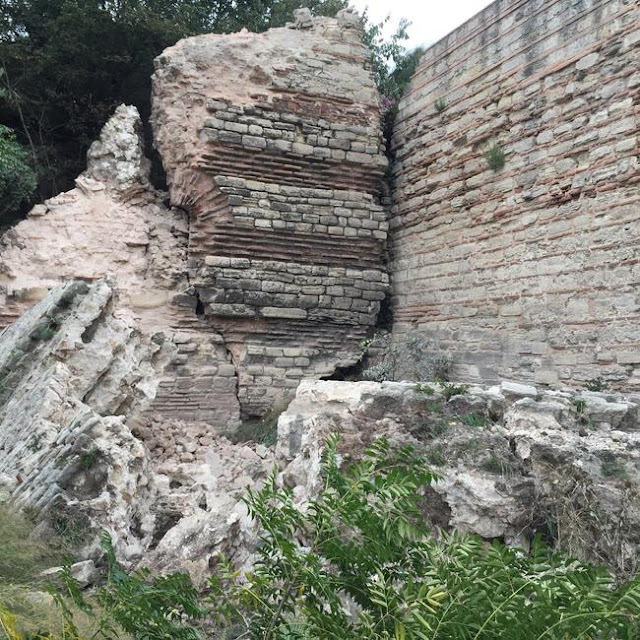 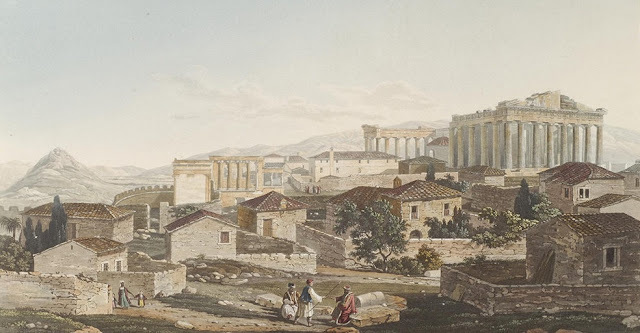 The city's walls are regarded as the last great fortification system of antiquity, and one of the most complex and elaborate systems ever built. Earlier this year the Turkish culture ministry had announced that it would restore part of the historic walls surrounding Topkapi Palace with a budget of $5.1 million. 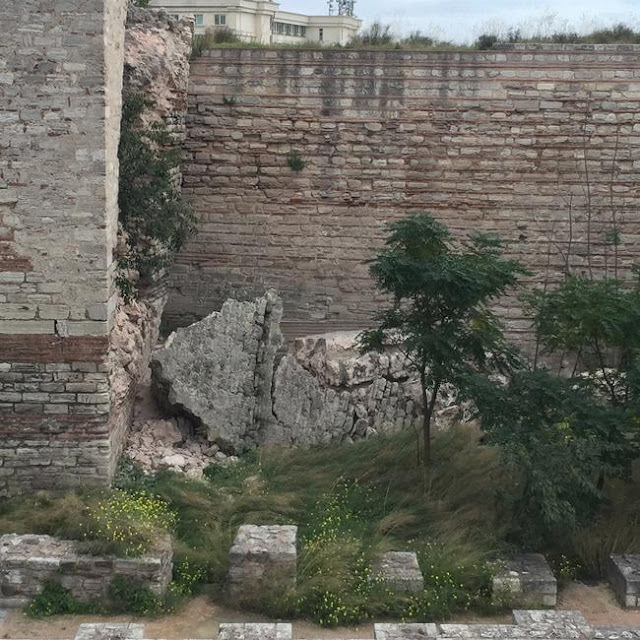 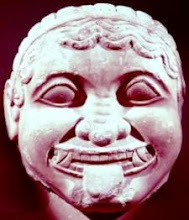 So sad to see how these Turkish barabarians have allmost completely destroyed or covered up all Greek and Armenian heritage.